Are you overwhelmed by the vast range of paid and free LMS plugins available on WordPress? You’ve just started with creating your online course, and do not quite know which LMS plugin – paid or free – to get started with. When you are a first time online course creator you are much more likely to want to test your content with a free LMS plugin. Whether it is to cut costs or to simply test the viability of your content in the form of a course, free LMS plugins offer a great opportunity to get started with selling your online course. Whatever the hype around the Senseis and LearnDashs of the world, oftentimes a simple free LMS plugin could do a good enough job of hosting your online course. The LMS have either a paid pro version, or if not then paid integration to other wordpress plugins. Because this post is about setting up your website through free tools, I will only be discussing the features that the free LMS and the free integrations offer. 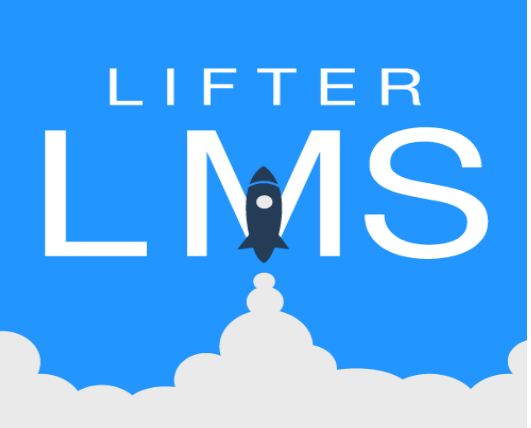 LifterLMS has a wizard to guide new users on using the LMS. If you are new to the WordPress ecosystem, a user wizard can be extremely helpful in helping you navigate the tools you’re going to be using. A user wizard signifies that the developers are careful enough about user experience. Beyond the welcome page the LMS wizard tells you about the custom pages that the LMS adds. These include a course catalog, a single archive page for all your courses, a membership catalog wherein all your memberships are listed, a checkout page for integration with a payment gateway, and a student dashboard for students to manage their profiles. Once you get past the wizard, the LMS welcomes you with a ready-made course on building a Learning Management system with this free LMS plugin. I mean what is a better way to guide your users than through a course built on your LMS plugin. Obvious, right, but LifterLMS are the only ones who have had the ingenuity to come up with the obvious. Each Course is broken down into multiple sections, each of which in its place hosts lessons. Within the main page you can manage the entire course structure, manage students and enrollments, and define content access according to membership roles. Lifter LMS offers everything you can reasonably expect from a free plugin. 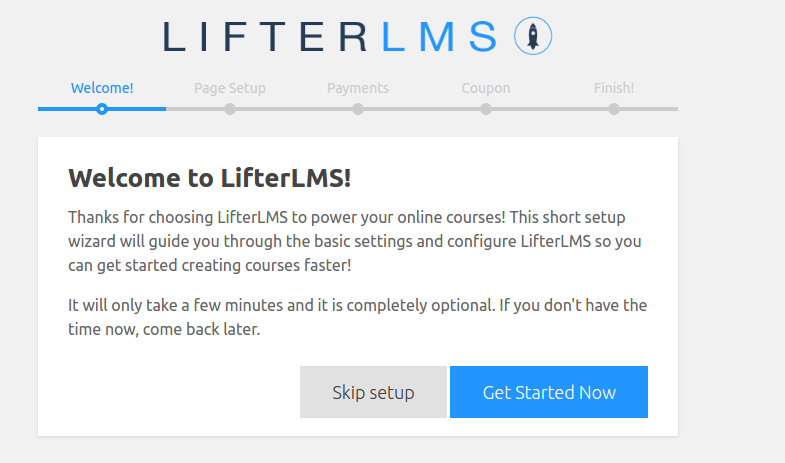 If you are short on time, LifterLMS is definitely the plugin to help you ease through the learning curve that operating an LMS requires. Where LifterLMS tops in usability and ease-of-use, Namaste! LMS comes out top in the features department. The interface of this free LMS plugin is pretty straightforward, and does not require much effort. The plugin button on the admin menu directs you to the course, lesson and assignments pages. There is a ‘To Do’ button for administrators to manage pending student enrollments, lesson completion and homework assignment solution approval. Course Certificates can be created from the same drop down menu. The vast majority of customizations are enabled through the options page. This LMS creates multiple user roles, and lets you decide which student roles are allowed access to content. So for example you may wish to restrict access to content to only enrolled students, in which case this is the plugin for you. Likewise there are WordPress roles for who is allowed to administrate the LMS. Namaste! LMS creates its own custom post type – the Namaste_Courses. It is however great to find that users can edit this. So if you’ve previously tried other LMS, you can carry on with this plugin quite conveniently by changing the course type to the course type used by the previous LMS used. I was a little disappointed not to find the option to make quizzes. Namaste! LMS does however support the free Watu plugin, using which you can create quizzes. Both Namaste! LMS and Watu come with Pro versions – the Watu Pro plugin allows creating of question banks and randomizing quizzes. However, for most requirements the integration of the free Namaste! LMS and Watu plugins works out fine for course requirements. All in all the Namaste! LMS plugin packs a great number of features. There is also a vast number of shortcodes to customize your course pages, all of which makes this one of the most feature-packed free LMS. CoursePress by WPMU DEV offers a free LMS with free integration to eCommerce tool MarketPress. Using MarketPress you can package your course as a product and sell it on the MarketPress platform. CoursePress is a no-frills LMS plugin. With this free LMS plugin you have options to create the course, add units and to manage users in one tab. Their seven step course creation process also allows you to manage course details, instructors, classes and enrollments, besides generating certificates on course completion. All these settings are accessible from one page, which does make the process of customizing the course seem convenient. The User Interface that comes with CoursePress is comfortable, and gets the job done for most requirements. The MarketPress integration however feels a bit bloated – the pages for you to configure the sale prices, discounts seem feature rich, but seem glitchy when you try to implement it. All in all, CoursePress comes out as a basic plugin to create your course. It provides a basic interface for creating your course. Although most functionality is bare-boned, it can be integrated with any WordPress themes to give a good look to your online course. All LMS plugins create a new post type. For example CoursePress creates the “Course” post type. If most LMS use the “Course” post type for their courses, the same course can be edited using any of the supporting LMS. While this increases interoperability, this does have the possibility of muddying up content when the LMS plugins are not completely compatible. LearnPress does things right here, as the course category created here is “LP_Course”. The LearnPress interface takes a little getting used to. Using this free LMS plugin you have the option to create courses, lessons and pages directly. It is better to create the course, lesson and quizzes separately, and to then assign quizzes to lessons and lessons to courses. You’ll have a much easier time that way. This is because although course creation, lesson creation and quiz creation happens on different pages, all of them are brought together in the main course page. LearnPress does not support question banks – you can only use a question once in a quiz, and the quiz only once in a course. Outside of the Course-Lesson-Quiz structure, LearnPress does not quite offer administrators and instructors much options to communicate with learners. Free integrations to BuddyPress and bbPress are available to enable the creation of a social network and forum around your course. For online course creators looking to sell the course for a one-time-payment, to try a Udemy style-model, LearnPress works out pretty much ok. This is a barebones plugin, and it does not have a pro-version. It enables course, lesson and quiz creation. Quiz only allows for multi-choice or single-choice answers. StudyPress is a free LMS plugin that barely offers any features beyond the mandatory course pages necessary. The few customizations that this LMS offers are adding a ratings page at the end of the course and integration with buddypress.